A hinge allows the pivoting of the two parts. In plastic processes, the hinge can be inserted after the production of the parts or be manufactured directly in the plastic part itself. 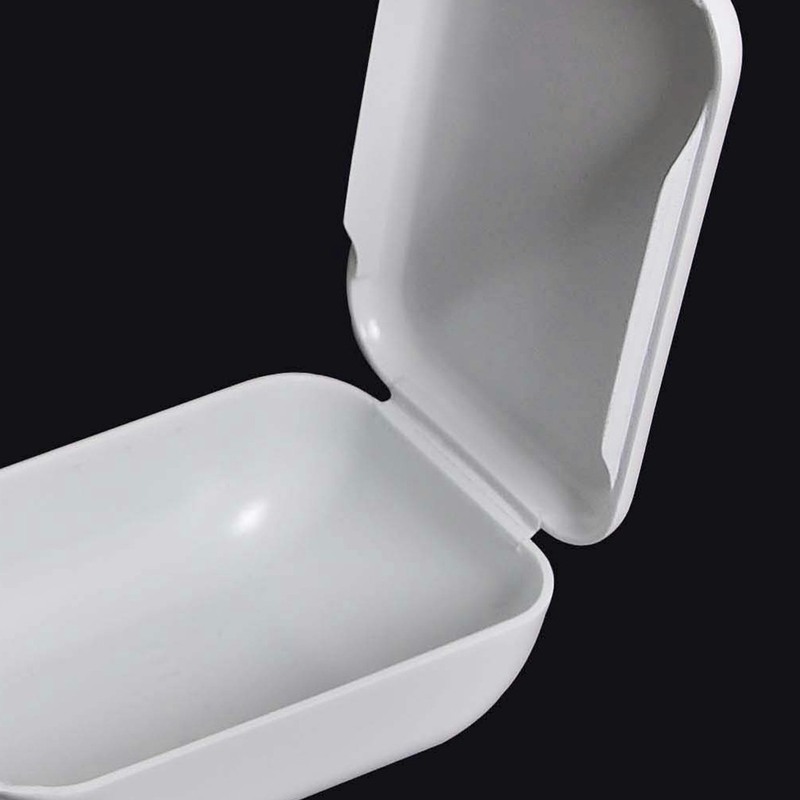 This is the case for example for box parts with lids, or bottle caps with flaps. 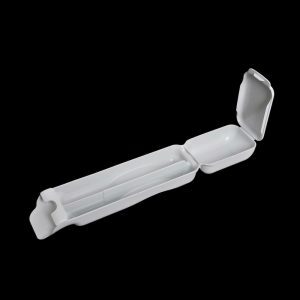 In this article, you will find an example of rapid prototyping for a plastic part with hinge created by our workshops. The hinge is a thinner area of plastic (usually between 0.2 and 0.5 mm thick) which allows bending. The thinness of this part and the need for elongation on breaking of the material makes prototyping more difficult. Nevertheless, in CNC machining and in vacuum duplication, our rapid prototyping workshop is able to create your plastic parts with hinges. A customer operating in thermoplastic injection contacted us to make a prototyping part in 4 copies to make presentations of its new model. The part has a hinge and a clip. The hinge allows the movement of the cover which is clipped to another area of the part, thus forming a small box. The purpose was to validate the visual and functional appearance for the production of a small series. It was important to obtain a part resistant to several bends that was clippable to be able to be handled several times during shows. Our rapid prototyping workshop created the parts in PU material imitating PP to obtain mechanical properties very similar to the future injection-molded part. This material is sufficiently flexible and strong to permit bending of the hinge. In this case, the hinge allows about one hundred bends. Finally, the finish was done with white paint. For more information, please visit our page dedicated to the applications on our website. You can see more examples of our vacuum-cast plastic prototype and CNC machining creations on the showroom page on our website.